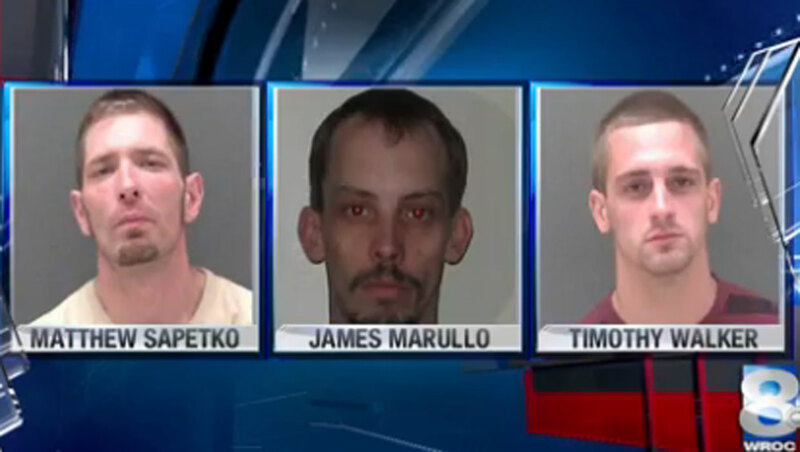 MOUNT MORRIS, N.Y. -- Authorities say a trail of macaroni salad leading away from a western New York restaurant helped police track down three burglary suspects. The Democrat and Chronicle of Rochester reports that the owners of Build-A-Burger told the Livingston County Sheriff's Office that their surveillance system and cash register had been stolen early Sunday morning. Deputies checked out a nearby hiking and biking path, where they found the following: Surveillance system parts, cash register parts, rubber gloves, loose change and "a steady trail of macaroni salad." Police say they later learned the tripped-up trio stole a large bowl of the macaroni and took turns eating it while making their getaway. The suspects were in custody by early Sunday afternoon. All three are charged with burglary, criminal mischief and grand larceny.